I can still recall the first TV clip, which was my introduction to the European Parliament, where I witnessed the MEP’s being asked to hurry up on their decisions on the directives being put forward, as lunch was looming and they wanted to get through the pile in order to have lunch on time. Also the electronic voting system had failed and it was being processed on a show of hands, which looked impossible to call because of the spread of the chamber. Before even researching into how the European Union worked, I realised there was something very wrong going on here. If it wasn’t so tragic, it would be a fantastic Monty Python sketch. Today it is far more sinister as the agenda has moved on now and what is coming on the 1st November 2014 is not getting a mention in our mainstream media here in the UK. The silence is more than jaw dropping, it is simply unbelievable. We are supposed to live in a sovereign country here in the UK, so I am absolutely staggered to see that every nation state in the European Union will lose the right to veto on 43 areas of legislation when a system called Quality Majority Voting comes into being on 1st November 2014. There are 43 areas that this will affect. Many of them are big talking points that are raising red flags among the people here in the UK on the theatre that is called political programming on British TV. The British public don’t understand that all these areas of legislation will be given over to Brussels: Asylum, border controls, common defence, crime prevention initiatives, criminal law, culture, economic and social committee, emergency International aid, energy, European Central Bank, European Court of Justice, Europol, freedom of movement of workers, freedom to establish a business, general economic interest, intellectual property, sport, tourism, transport and withdrawal of a member state to mention just a few. All these issues are going to be controlled from Brussels and we, as a country, will only have a vote rather than a right to veto. When are people going to stand up and take responsibility for their children’s future. This is a creeping tyranny, that will drag Europe into the dark ages. Also what people don’t seem to understand is that the Lisbon Treaty is a self amending treaty and therefore there will be no need for any other treaty to be written. This is why the UK politicians could speak with such passion and fervour after the Lisbon treaty had been signed that we will definitely get a say in the next constitutional change, realising that this will never happen. 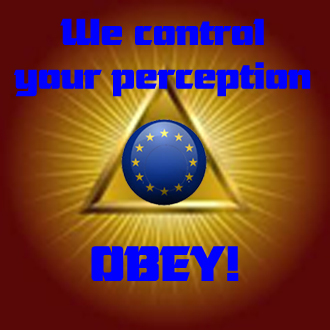 We have been duped on such a grand scale it is breath taking, and still the majority of Europe’s people seem to be crawling into this mess. When the Lisbon Treaty is fully instigated, and I believe that the powers that be are pushing for this in 2017, we will have nothing left for us to have a say in. All we will be doing is sending MEP’s into the impotent European Parliament, to vote on meaningless changes to meaningless directives. It will be job done as far as the people behind it are concerned. We will live in a super state. We will have representation in our region, which again is meaningless as it will have nothing to do with your community. Is this why David Cameron is pushing the referendum on the UK’s membership into the long grass so they can then just state that it is impossible to leave this wretched organisation? It seems that there is nothing that these people won’t do to get their agenda in place. The Magna Carta was created to stop tyranny. It really evolved from natural law where you are the sovereign and are only answerable to God or the divine creator or whatever you are comfortable calling the higher force. The law is common sense and easy to understand. You do not hurt, harm or cause loss to anyone and there must be a victim if there is a crime. We used to have divinity classes at school here in the UK and when you realise you are a divine being, the last thing you want to do is cause anybody hurt or harm. In fact, you realise it is better to serve others than to serve yourself. If you serve yourself, you only have yourself to serve you, but if you serve others and have a group around you who are of like mind, then everybody is serving each other. This has all been worked out before in history, and the political class is trying to lose these basic rights and understandings. We are governed by consent, and it is time to remove your consent to be governed by these lying politicians. They are not serving us, but serving the bankers and the big corporations. This has gone so far with the merging of state and business here in the UK where your credit rating is now affected if you are not on the voting register. Surely now it is plain to see in today’s current affairs that we are moving into fascism. 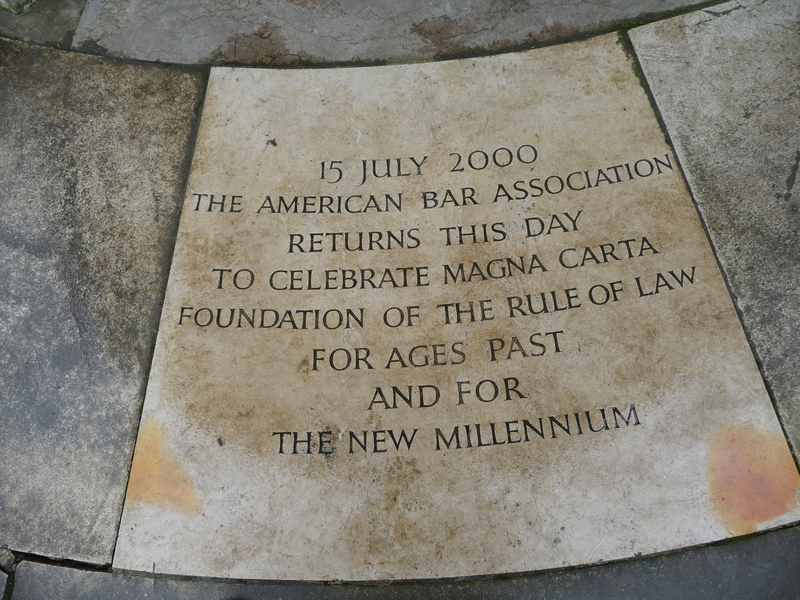 Notice the subtle word changes in the three Magna Carta plinths below at the Runnymede memorial in Egham. This sums it up nicely. 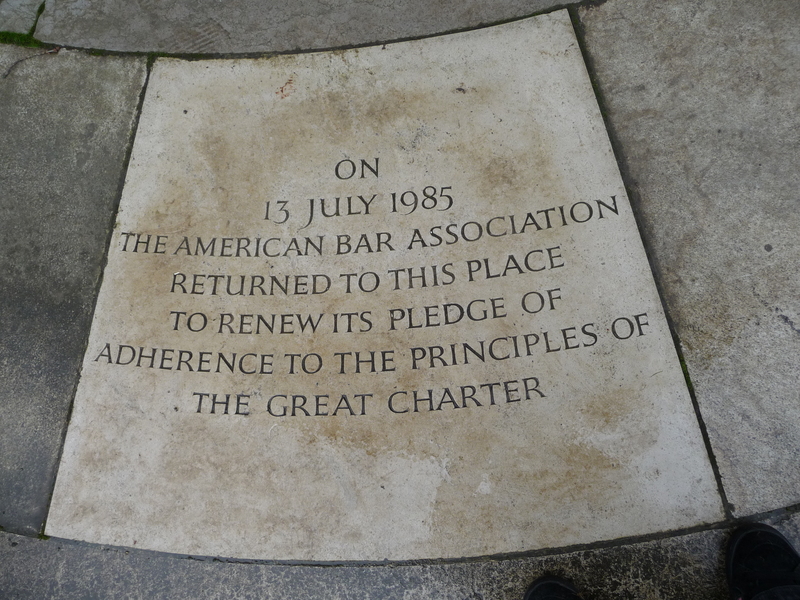 What is very interesting here is the wording on the last plinth which no longer pledges adherence to the Magna Carta, but celebrates it. This change has been noted and there are some who are taking action. There are many brave people who are claiming they are Freemen, rejecting their straw man, and moving away from the Unified Commercial Code system we live under. With this creeping collectivism smothering all our responsibility of being a sovereign being, it is time for bigger numbers to reject this rancid system, which is your right to do so as a human being and a sovereign. No one has authority over you as you are governed by consent, so get up off your belly and start declaring your sovereignty. There are many great films that are appearing on the internet explaining these facts and ideas, and the consensus is that this system is so corrupt, so malevolent, and set up to be exactly what it is, loaded towards the elites, that there is no salvaging it. This is an area of knowledge where we all need to grow our consciousness and understanding. Einstein did say that we can’t solve a problem with the same consciousness with which it was created. Here are a couple of links for you to research, and it would be interesting to note your reaction to these and how much programming you are actually suffering from if you reject this information immediately. I did at first. It is part of the conditioning we have all undergone, and now I can see how this can really work. We can break out of this mind control and illusory system. Have fun. We also have people in Lawful Rebellion, which is written in the Magna Carta. Here is the site if you want to get in touch with like minded people. 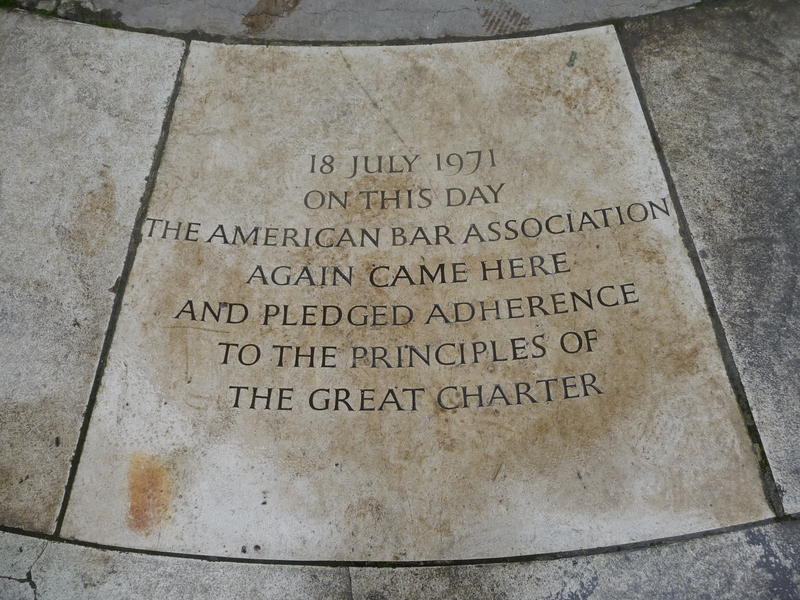 Magna Carta 2015 is also a movement that is steered by the British Constitution Group where like minded people will declare their sovereignty as a group in 2015. The Ministry of Health has been pushing this idea through our leaflets. The European Union is only a part of a larger system that is coming in. To mention just a few, we have Agenda 21 from the United Nations, Codex Alimentarius and the Earth Charter. This charter is part written by Steven Rockefeller. He comes from a family that has made its money for years on polluting and destroying great swathes of our beautiful planet for their profit, and now are claiming to be the saviours of the mess they have made with this charter. If you step back and take a look at how these people work, it is obvious. They create the problem, create a reaction and then come up with the solution. The Rockefeller foundation are pulling their interests out of oil. They are now going to get behind the green revolution and attempt to screw humanity into the stone age. They are well noted for pushing for austerity, along with the Rothschild’s, so they can have you where they want you. If you are struggling for money then you can’t do much to dent their billionaire dynasties. If you have to work all hours to keep up your illusionary lifestyle, you are also in a form of prison and would be literally turning on everything you believed in to change yourself to break yourself free of this meme. It is quite a remarkable position they have put us in. We should all be environmentalists as this earth is our home, but these people are not. It’s time to get real. And one more point to consider is that for every pound we create to actively resist these people, they can create an infinite amount of pounds to hold onto their position because of how the money system works. Research it, you will be staggered to see how it really is an enormous con. These despicable elites have controlled our society for so long we have become reliant on the pharmaceutical and petrochemical companies with all their dirty plastic and dirty technology and now they are saying that we are the cancer and we are the problem that is destroying the earth. They have forced us into a way of life that is unsustainable and harmful to the environment, and now they want to blame us for doing this. It seems clever to see how they have instigated this, but their system has no wisdom. Who would allow their three year old child to have their finger on the button of a nuclear bomb? It feels like this to me at this present moment in time. The technologies they are using for weather modification, GMO’s and the use of radiation on wireless technologies to mention just a few, are all detrimental to human beings and the planet itself. The pressure is rising on us and the button will be pushed if we don’t stop this nonsense. These people will do everything to keep their position of power and control. It is quite simple to get out of it though. Remove your consent, change yourself from within and explore your divinity and consciousness and you will unveil a new life that will bring you everything you need. Reject fear and live with love. Research, research and research more. It will open the mind and bring you inner truths. If you have energy and nothing else, then you are starting from nothing and therefore learn to take responsibility for yourself. Day by day if you chip away at it, you will find a way. A journey of a thousand miles starts with the first step. As more people wake up, you will find people to point you in the right direction. When the pupil is ready, the teacher comes. There seem to be more teachers entering the foray at this time. It is truly an interesting time to be alive. When we pull together, our ruling elite will become insignificant. Here at the Ministry of Health we have been looking East and the ancient ways of our ancestors. Western science is catching up with these ancient teachings and it is quite remarkable when you look deeply into this and find answers that you always thought were for the people who have been deemed to be a little weird! It is the meme we live in that is weird and out of sync, not the nature of our reality. Once you get out of the big pharma trap and get into being responsible for your body, by feeding yourself the right foods to get you into the healing zone, and free your mind from the traps of this system and all it has to offer, you begin to feel free and expansive. Take back your control. We are shocked by seeing people who are sick still shovelling harmful garbage into their face and still complaining about being dis-eased. It is time to wake up to food and the effects it has on the body. This will be our next article where we unveil our food awareness programme which is simple to understand and essential knowledge for today’s toxic environment. Finally, I am pleased to say my album ‘Anahata, Earth Echoes’ has been released on the label New World Music. This was inspired by learning about the chakras and experiencing the togetherness of ancient tribes like the aborigines’, the Fijians and the Native American Indians I met as a child when I went around the world. The first seven tracks are tuned to the seven chakras from the base to the seventh chakra and is a good way of meditating on your chakras. Meditation is a valuable tool to enable us to live in these ever increasing vibrations we are experiencing on our planet, and this is my small way of trying to help people to get into this type of activity. It certainly has changed my life, as I am well on the way to waking up on a more profound level as my research into consciousness expands. Good food, sleep and meditation are all important for you to be in control of your mind. You can experience your life in a more profound way, and truly discover what it is to be a human being. With a clear and present mind, free from outside influences, you will begin to understand you are awareness having an experience through the human body. We have so many distractions in our lives today, and this is no coincidence. Most people are living their lives now staring at TV screens. We need to turn all this around sooner rather than later, otherwise 1984 and a brave new world will be a reality and not just the ramblings of insiders. Be well, be conscious and be sovereign!!!!! No Thanks. Your ‘ubuntu’ link gives you away as a globalist asset. I rest my case as to the preconditions people have when going to the links. Thanks for your response. Very interesting. Humanity truly does need to raise its consciousness. If I am a globalist asset, then I must be also the king of Siam. He he! ← Is looking back really going forward?